While there have been a lot of stories about companies exploring the use of airborne drones to make deliveries, another form of technology has quietly been making significant inroads – robots. Last week, Governor Terry McAuliffe signed a law allowing delivery robots to operate on sidewalks and crosswalks in Virginia. From published reports, this is the first legislation in any state explicitly allowing the use of these types of robots. The law has strict limitations – the devices can only weigh up to 50 pounds, must be monitored remotely and are limited to speeds of 10 miles per hour – but this is just the beginning.There are already 7 states with laws governing self-driving cars. Also known as autonomous vehicles. Also known as robots. Companies like Uber and Amazon are looking for ways to integrate self-driving cars with delivery services. Domino’s is already testing using these vehicles to get a pizza to your house. Driverless trucks even make a cameo in a new action movie - Logan. In many ways, wheeled robots will be easier to integrate into the delivery industry than flying drones. Weight capacity is less of an issue, controls will be easier to manage and robots can use existing routes. Legislators only need to adapt laws that exist for modes of transportation they’ve already experienced – bikes, cars and trucks. While many people have travelled in airplanes, less than 1% of the population are licensed pilots. Consider the labor savings for transportation companies, including the U.S. Postal Service. Instead of replacing delivery staff, robots – large and small – could supplement their efforts. A fleet of self-driving trucks would open route design, allowing for smaller vehicles with fewer employees. Just as letter carriers used transfer boxes when they walked routes, stocked vehicles would meet carriers at predetermined locations. New hub and spoke patterns can be implemented daily to meet changing volumes. There are still challenges to overcome with delivery robots, especially safety and security. Compared to cars, 10 miles per hour seems slow. However, it’s over 3 times as fast as a person walking. Think of a bike rushing by you on the sidewalk – except lower to the ground and harder to see. And who’s liable when 2 self-driving vehicles collide? The increase of package deliveries has led to an increase in package thefts. “Porch pirates” are a scourge in even the safest neighborhoods. 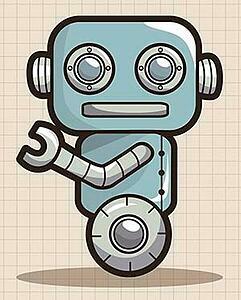 Hackers may be able to redirect a robot from its programmed destination. The smaller delivery robots only weigh 50 pounds – not too difficult to lift for a motivated thief. However, these problems are only speed bumps, not roadblocks. The thoughtful integration of cameras, sensors and alarms can resolve many of these issues. As with most new technologies, each generation will bring improvements and innovations. Keep your eyes open for more article about more deliveries that minimize the human component. The robots aren’t on their way. The robots have arrived.